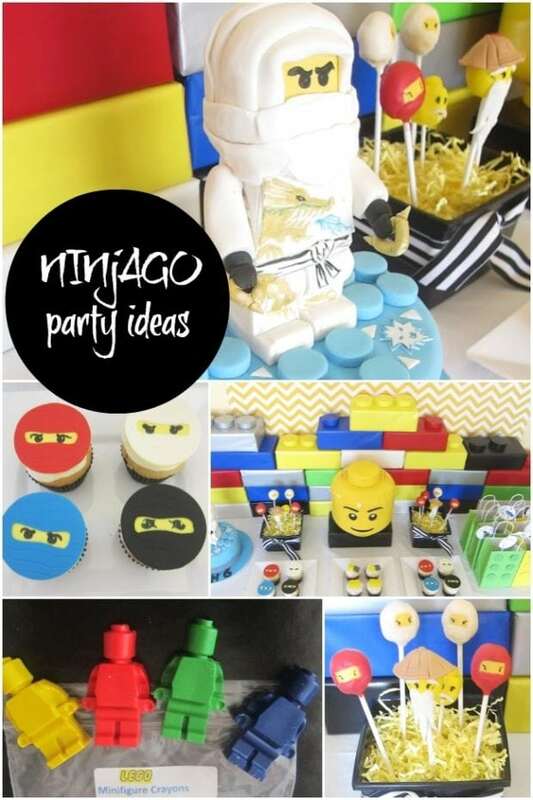 Kick up your LEGO Ninjago party supplies with 23 of the best Ninjago birthday party ideas! 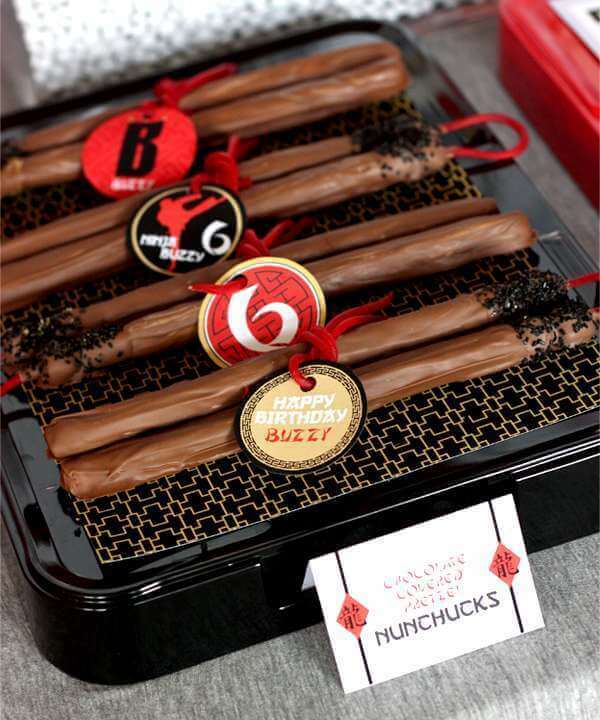 Pack a punch with these Ninjago party decorations. Entertain guests with games like “pin the mask on the ninja” or let them eat Ninjago-inspired candy kabobs, cupcakes and cookies. Send home sweet treats in Ninjago favor bags. Kids will never get bored with these 17 Ways to Play with LEGOs. Have a LEGO fan in your house? Check out 19 Ways to Decorate with LEGOs to spruce up their play space. 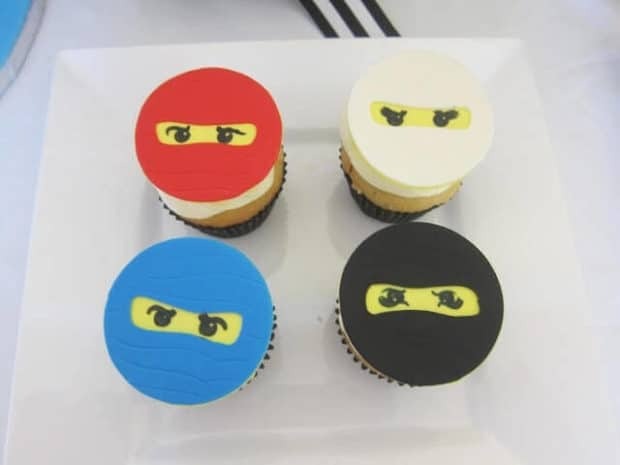 Asian screens, ninja shirts and bandanas, toy nunchucks, throwing star target practice, a pagoda style cupcake stand, and a candy takeout table complete with takeout boxes are just a few of the fun ideas you’ll find in this Lego Ninjago birthday party. 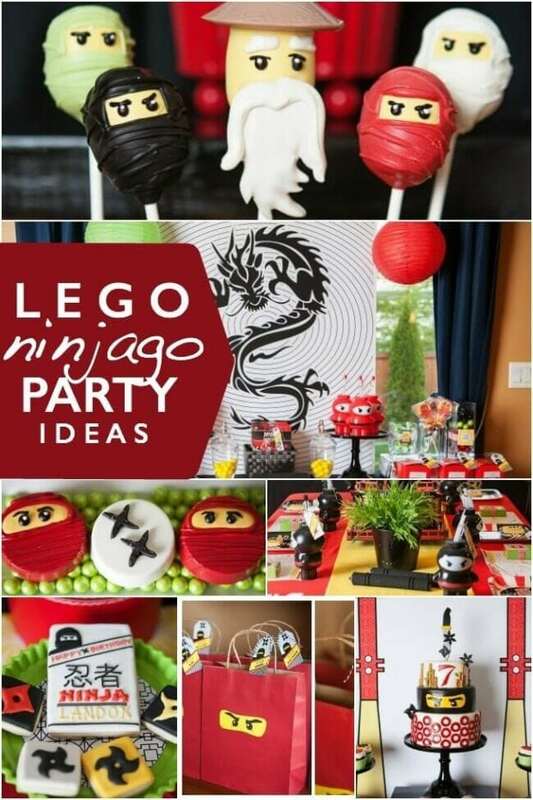 Check out more fun Lego Ninjago party games, party favors and decoration ideas! 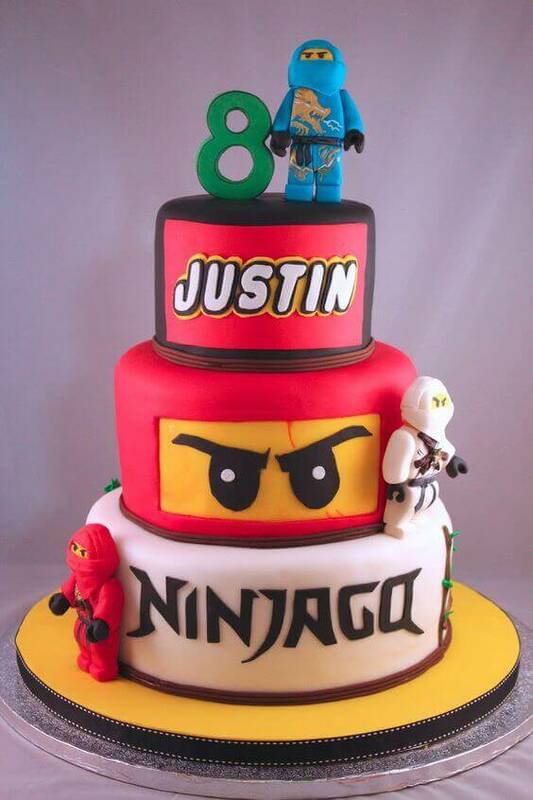 Before you decide on a cake for your child’s Ninjago party, check out this Ninjago cake. It’s 3 tiers tall and covered in the coolest LEGO Ninjago inspired fondant details, like mini figures and the birthday child’s name in LEGO font letters. 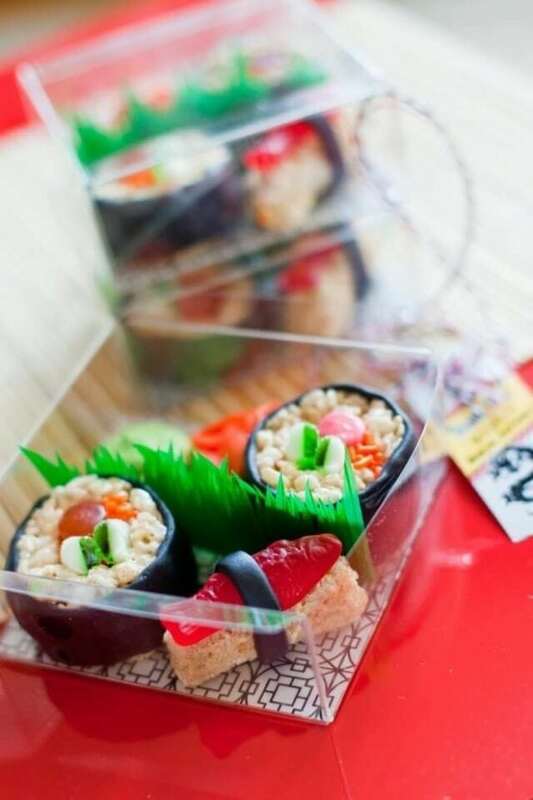 Kids at your Ninjago party may not have palates developed for real sushi quite yet, but this candy sushi is a different story. You can make these yourself with rice krispies, marshmallows, orange sprinkles, and candy like Swedish fish, gummy rings, Starburst and Airheads! 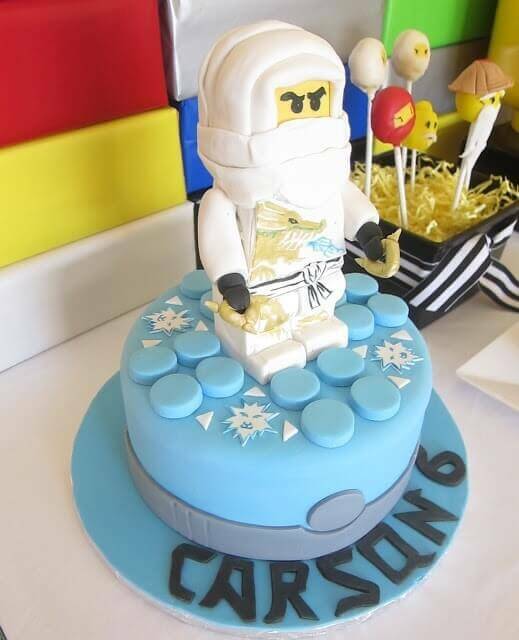 You may have a hard time cutting into this Lego Ninjago cake! The white ninja minifigure stands tall as a cake topper on a round fondant covered base with a LEGO-inspired top. 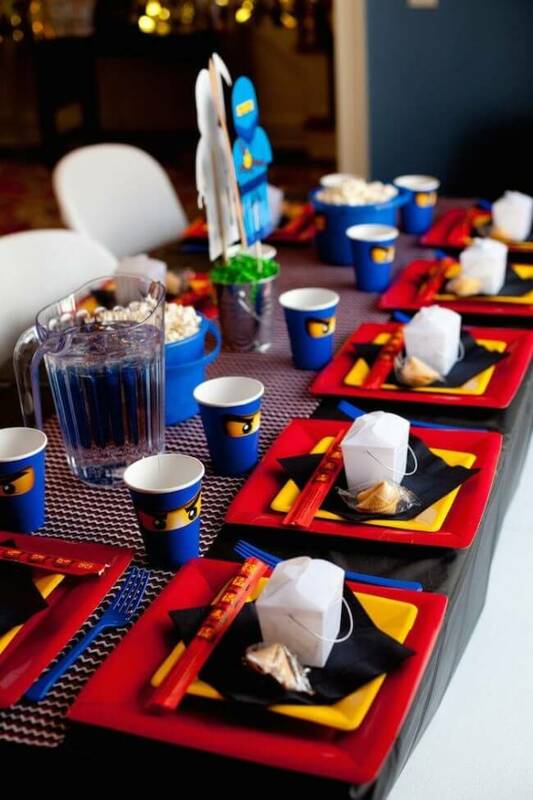 Add some kick to your Ninjago party place settings! Colorful layered plates, chopsticks, take out boxes, a fortune cookie and cups with peering Ninjago eyes will help you defeat the status quo. 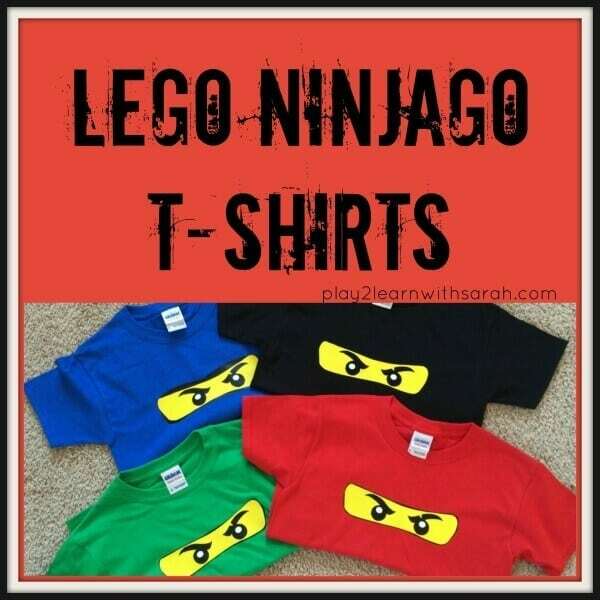 Guests will love sporting custom Lego Ninjago t-shirts at your child’s Ninjago party. You’ll love how easy they are to make using vinyl! Don’t get discouraged trying to come up with an idea for a Ninjago party game! 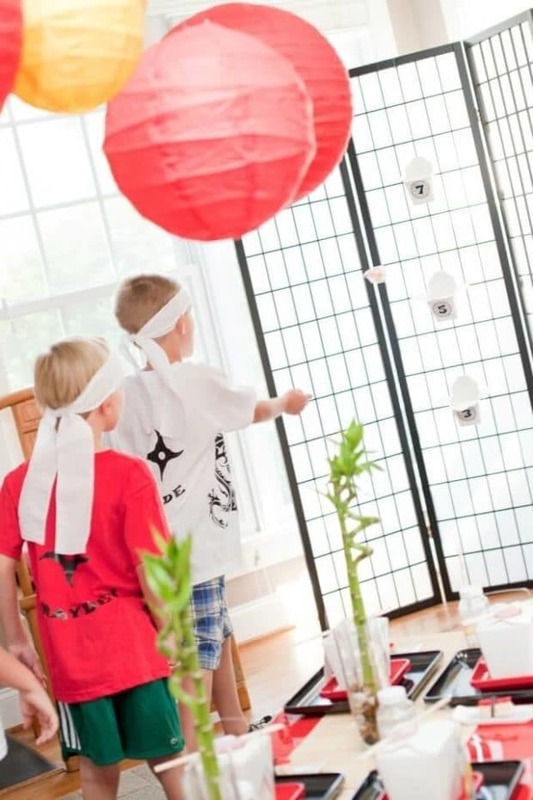 This Ninjago fortune cookie toss game is a DIY idea you can make using Asian-style takeout containers, some Ninjago printables, and a big pile of fortune cookies! 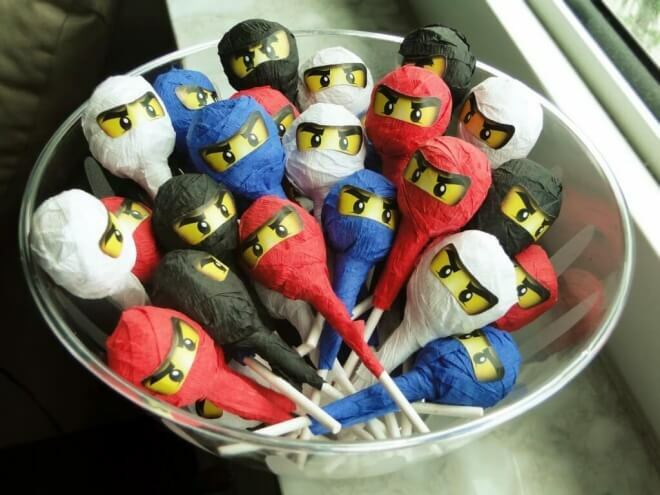 A little creativity and crepe paper later, and you can surprise Ninjago party guests with Ninjago lollipops! Grab lollipops and mummy wrap them in strips of crepe paper. Adhere a small set of Ninjago eyes with glue (you can find them online with a quick search). These Ninjago mini figure sugar cookies are basic enough that almost anyone can make them. Bake up a batch of circle shaped sugar cookies and add a ninja style face mask and eyes with frosting! 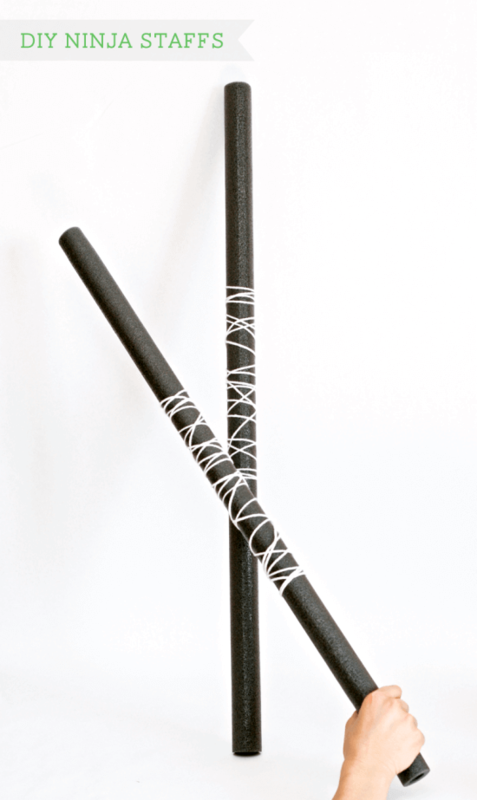 Make your own ninja staffs to be used for a party game and a take home favor. These are a simple DIY made from foam tubing insulation, PVC pipe and string! Nunchucks and ninjas go together like peanut butter and jelly! You can whip up a batch of edible chocolate covered pretzel nunchucks using rod pretzels, melting chocolate and shoelace style licorice. Putting a twist on the classic Pin the Tail on the Donkey game, this Pin the Mask on the Ninja party game is perfect for Ninjago parties. 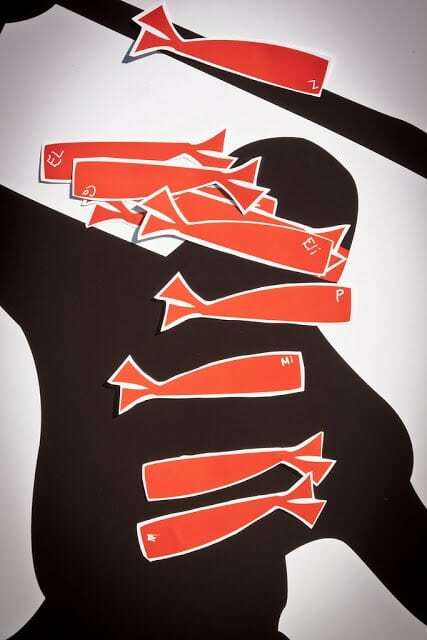 DIY some paper ninja masks and draw or print out a life sized ninja silhouette to create this fun game. 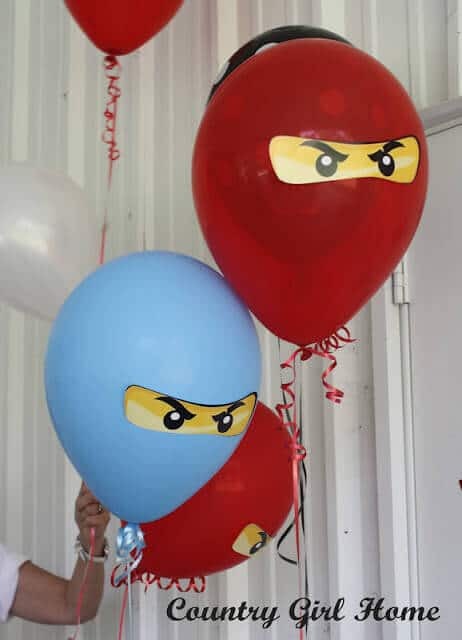 You can create these Ninjago balloons in a matter of minutes. 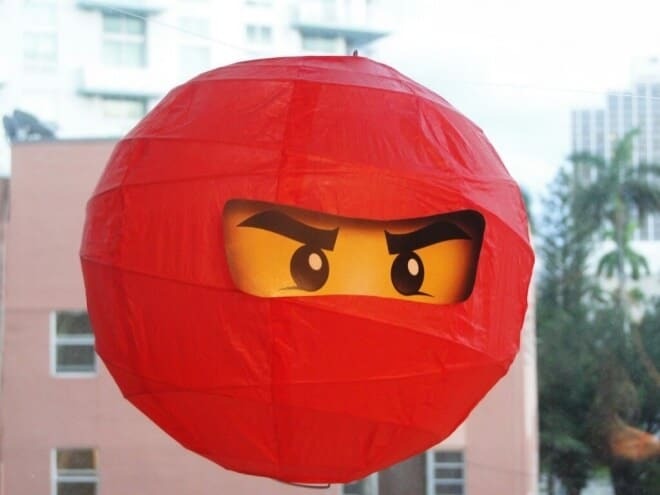 Print and cut out images of Ninjago character eyes and attach them to helium filled balloons with glue dots or tape. 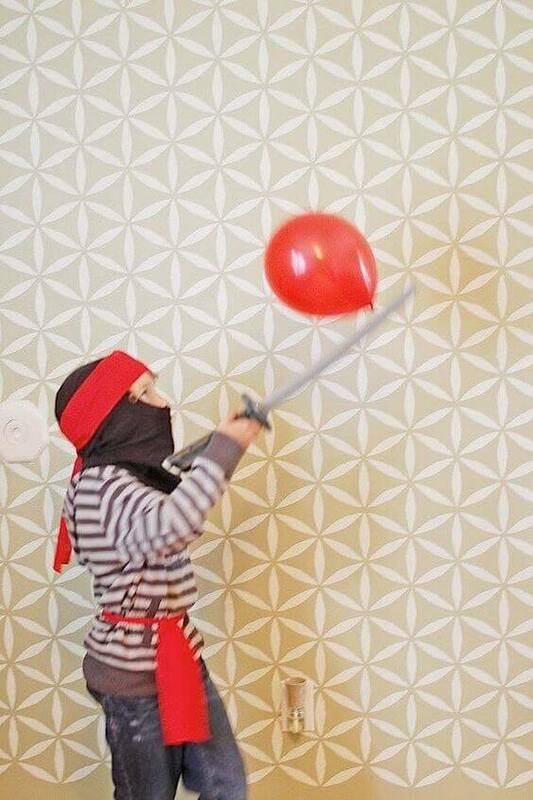 Toy swords and air-filled balloons are all you need for a fun ninja game. Arm each party guest with a toy sword and challenge them to keep their balloon in the air! For more of a challenge, add multiple balloons. 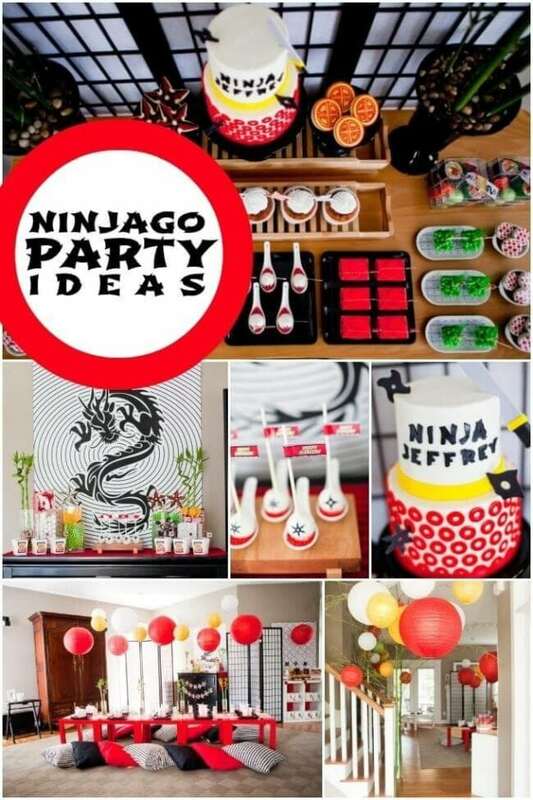 Your Ninjago party idea book will be full of inspiration after you see this Ninjago party full of colorful, coordinated details, including printable Lego Ninjago decorations and sweet treats. Plus don’t miss all of the creative Ninjago activity ideas, many of which come as a printable download. Boring favor bags be gone! A few extra minutes spent and you can have Ninjago favor bags. 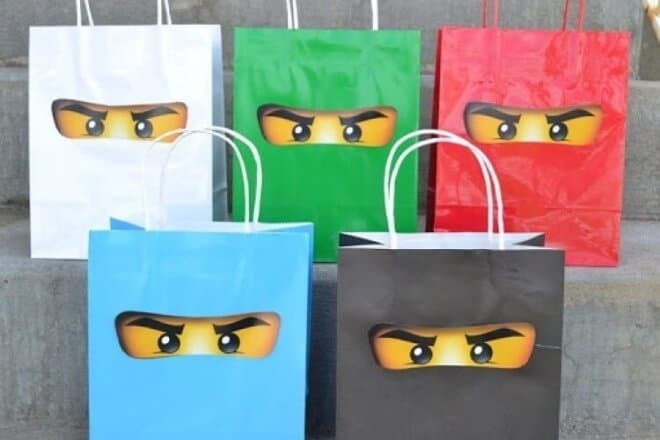 Purchase basic favor bags in the Ninjago character colors and add Ninjago eyes sourced from the internet. 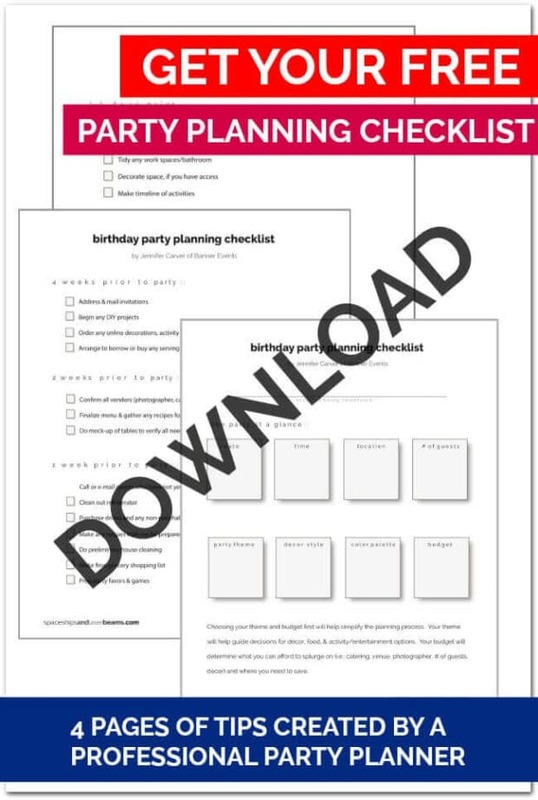 Add party guests’ names on a tag, printed in both English and Japanese! 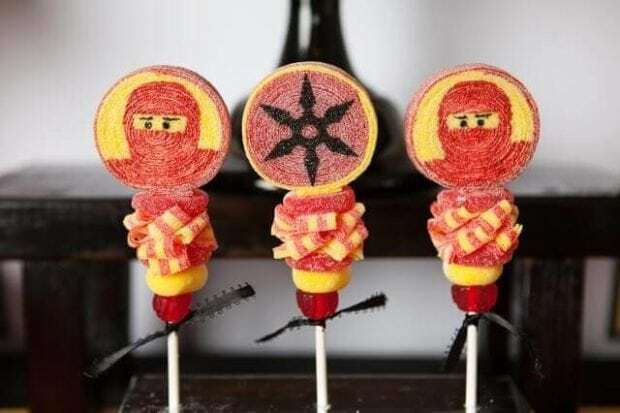 These creative Ninjago candy kabobs will be the hit at your Ninjago party. Made from sour belts, gummy candy and edible ink markers, they are so impressive. Recreate favorite Ninjago characters in sugar cookie form. 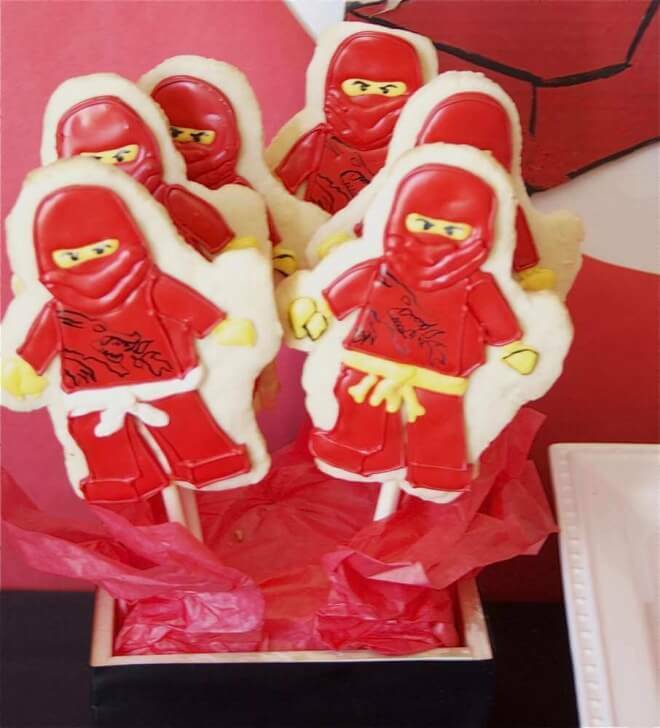 Try your hand at flooding and piping with royal icing, or hire someone to make these Ninjago sugar cookies for you. 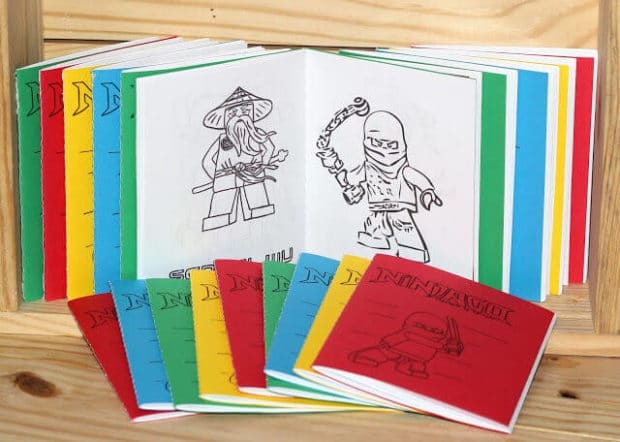 Whether you want a great party activity for little guests or a creative favor to send home with them, these Lego Ninjago coloring book favors are an easy choice. Just find some free Ninjago clipart images online and format them coloring book style prior to printing. 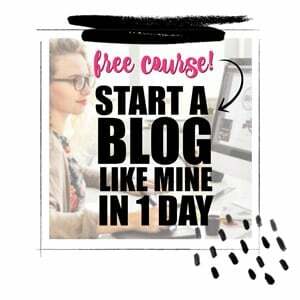 Staple on a cover image, and you are set. Save time and money with this ninja mask favor tutorial. 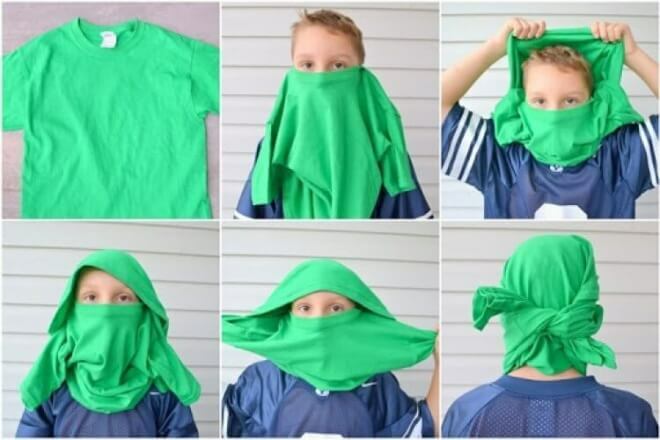 You can use old (or new) t-shirts to fold and twist into a ninja mask—no cutting required. 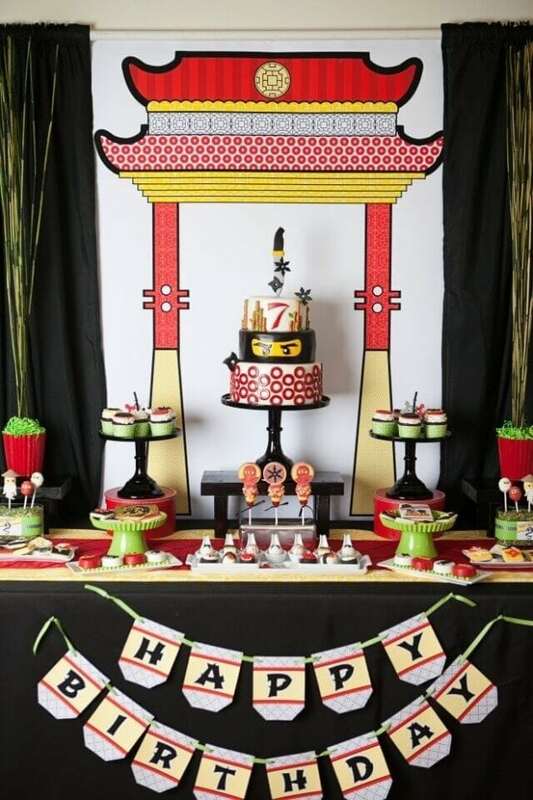 If you want a unique look for your Ninjago-inspired dessert table, add a printable Asian inspired arch backdrop to set the scene. 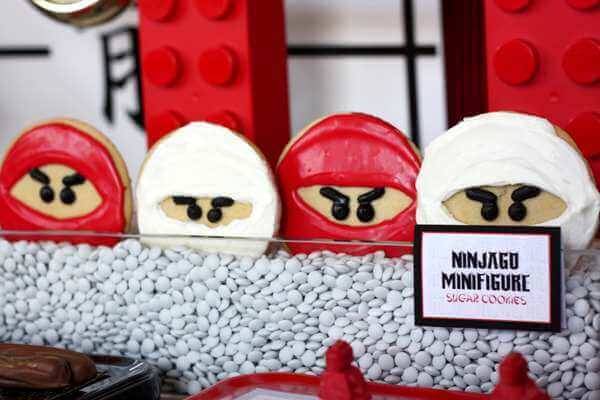 Ninjago-themed desserts like cookies, a cake, cupcakes and candy will bring the Asian and Ninjago styles together. Create cool Lego Ninjago cupcakes with fondant masks and peering faces. You will need fondant in red, yellow, black, white and blue, edible black ink markers and a circle shaped cookie cutter. 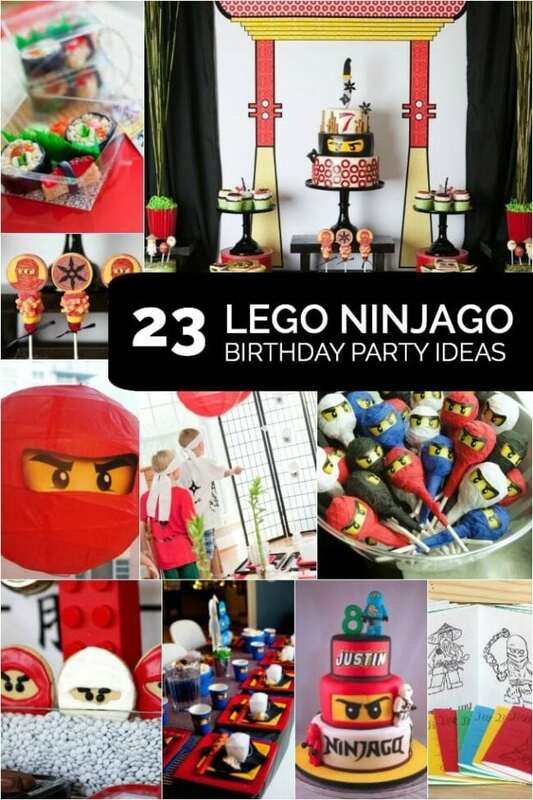 Be sure to check out more LEGO Ninjago birthday ideas.